FIVE-YEAR-OLD gelding Wattlebank Flyer posted his best mile rate of 1:56 when he won over 1660 metres at Albion Park in Brisbane on 28 July. The hardy son of Panspacificflight won one race at Addington for Tim Trathen before being sold to Australia. 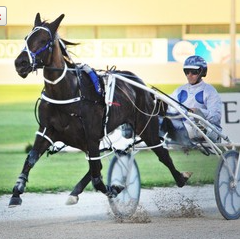 There he’s notched up another six wins and has now topped $40,000 in career earnings. He’s part of Panspacificflight’s stellar first New Zealand crop, who’ve now won more than 85 races here, in Australia and in North America. And from his third crop here, Reciprocity opened her account across the Tasman with a win over a mile in 1:57.1 at Newcastle on 29 July. She was a hot favourite, went straight to the front and led all the way. The speedy three-year-old filly was overdue after three seconds in her four Australian starts. She won one race here for breeder Lester Smith and trainer Lauren Pearson. FORMER OPEN class pacer Franco Ledger is available to southern breeders at Macca Lodge this coming season. 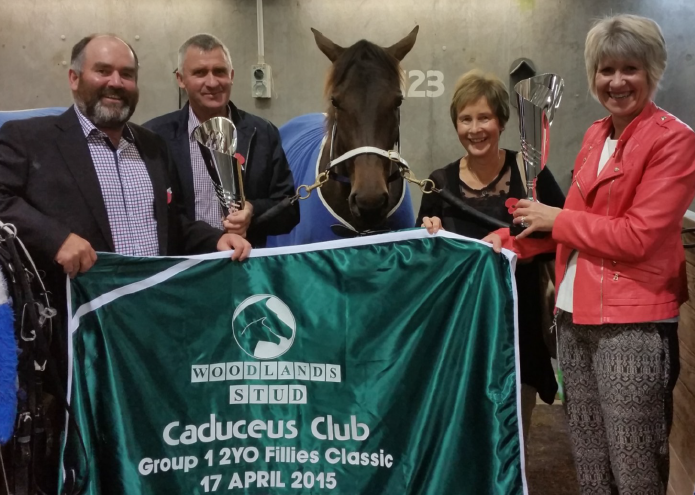 The horse’s owners, Hamish Hunter and the Whatever Syndicate, persuaded Brent McIntyre to look after the stud duties. There is no service fee. Franco Ledger was retired after fracturing a pedal bone during last year’s Hannon Memorial at Oamaru. He had returned to Hamish’s Ryal Bush stable after racing in Australia, where he won the Group I Bohemia Crystal at Menangle and placed second in Arden Rooney’s Hunter Cup in Victoria in 2015. Altogether the Falcon Seelster stallion won 25 races and $682,000 in stakes. PANSPACIFICFLIGHT’S pin up girl, Arden’s Choice, ran her last race when a luckless fifth in the Four-Year-Old Diamond at the Harness Jewels at Ashburton in early June. She is home at Arden Lodge in Tapanui and will be served by champion sire Bettor’s Delight in the spring. From Panspacificflight’s second New Zealand crop, Arden’s Choice was the pin-up girl for her sire and remains the most successful of his progeny here. PANSPACIFICFLIGHT two-year-old Naholo looks an early winner after qualifying impressively at the Rangiora trials on 28 June. PANSPACIFICFLIGHT gelding Enoch has bettered 1:50 in his last two wins at Hoosier Park in Indiana. The four-year-old went 1:49.4 when he won a $US21,000 invitational event on 23 June. Then he clipped a further two-tenths of a second off that time when he won a similar race on 30 June. Panspacificflight continues to leave top-performing horses in North America where he has sired the winners of $US16.7 million. Now there are also New Zealand-bred sons of Panspacificflight like Wick and Southern Pursuit racing with distinction in the United States.